The most important decision you make with a back injury is what kind of doctor you choose to see first. Research indicates that the first doctor seen by a patient with a spine related disorder may be the most important decision that is made. The reason is because the first provider strongly influences what is ordered/prescribed, who is seen and when. 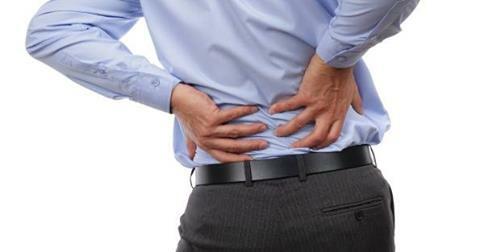 The science of non-surgical spine related disorders is largely settled. The vast majority low back pain is musculoskeletal, meaning that the cause is strain on the bones, muscles, and ligaments of the spine. 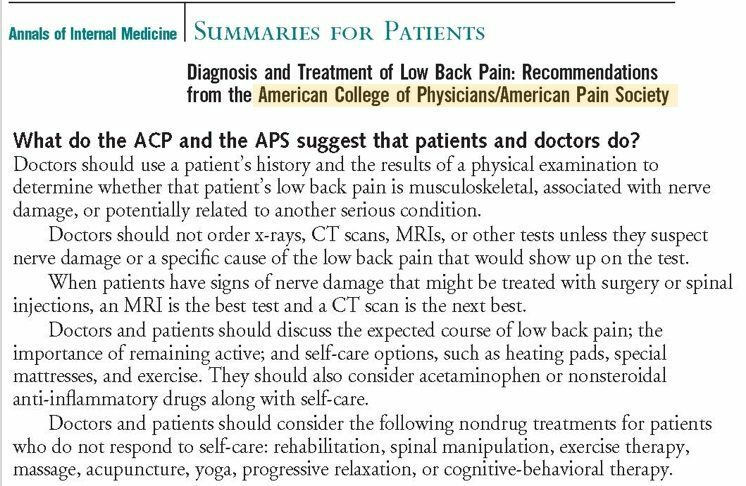 Guidelines say that when diagnosing musculoskeletal low back pain, x-rays, MRI (magnetic resonance imaging), or other advanced imaging tests are not necessary in most cases. But despite the absence of guideline support, not to mention the adverse impact on affordability, imaging is used for more than 40% of non-surgical spine episodes of back pain. Patients need to become more informed consumers and participants. Choose a doctor that does not start with and/or delays MRI/CT/X-rays. Find a primary spine provider (PSP) that will take the time to educate/discuss the underlying cause of your back pain. Go to a doctor who starts with manipulation and massage for the first few weeks before referring you to a specialist. Get back faster to doing the things that matter most by choosing a doctor, like Dr. Weisel, who follows evidence-based guidelines. Dr. Weisel uses a patient’s history and the results of a physical examination to determine whether that patient’s low back pain is musculoskeletal, associated with nerve damage, or potentially related to another serious condition. Dr. Weisel does NOT order x-rays, CT scans, MRIs, or other tests unless he suspects nerve damage or a specific cause of the low back pain that would show up on the test. Dr. Weisel discusses with his patients the expected course of low back pain; the importance of remaining active; and self-care options, such as applying ice, and exercise. He also supports those patients who use acetaminophen or nonsteroidal anti-inflammatory drugs along with self-care. Dr. Weisel provides safe and effective nondrug treatments for patients, including: spinal manipulation, massage therapy, and exercise. If you are looking for a primary spine provider who adheres to guidelines and has a long history of good outcomes, call our office today at 330-877-3177 to schedule a consultation with Dr. Weisel.